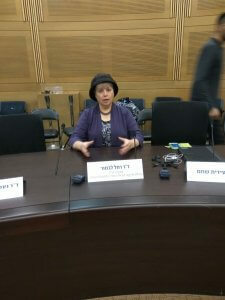 Dr. Levmore at the Knesset! Home » IYIM NEWS AND EVENTS » Dr. Levmore at the Knesset! 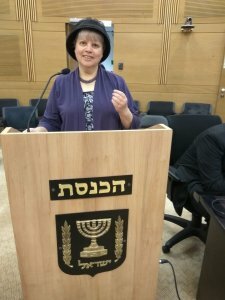 Dr. Rachel Levmore, director of the IYIM Agunah and Get-Refusal Prevention Project, was asked to speak at a groundbreaking conference in the Knesset— led by MK Yehudah Glick and other MKs, organized by “Together in Happiness”. Called “Marriage Education in Israel: Saving Marriages with Pre-Marriage Education”, the conference explored the deleterious effect of divorce on Israeli society and its prevention through pre-marriage education. Dr. Levmore’s lecture focused on the synergy between pre-marriage education and the signing of a prenuptial agreement for the prevention of get-refusal, in building healthy family units both in marriage and in divorce.